Memory foam has become a mainstay of bedding products in recent years thanks to its virtually unparalleled comfort and support. 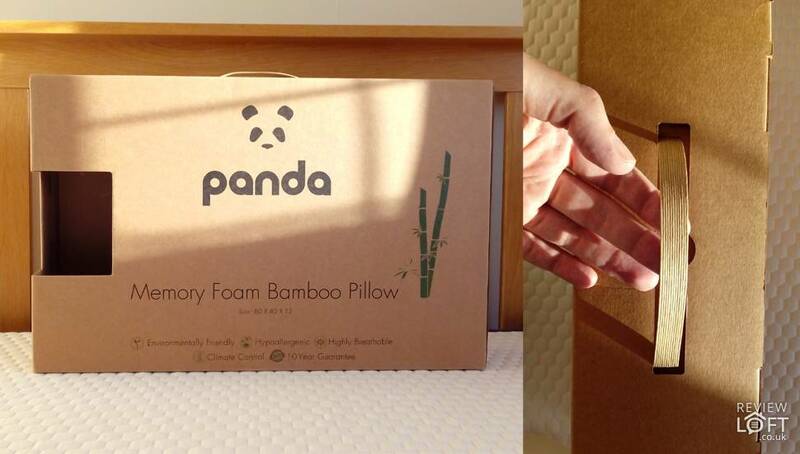 Panda’s entry is the latest in a fairly sizeable line of memory foam pillows to hit the market in recent years. But, what surprised us was just how comfortable this pillow was and the ethics of the company behind it. Join us as we lift the hood on Panda’s pillow as we find out what it is made from and give an overview of our tests as we reviewed this pillow for a week. We’ve tested memory foam pillows before and one thing we noted was just how light the Panda pillow feels compared to the competition. Its weight is more akin a fibre filled pillow, whilst still providing the cushioned support of memory foam. Overall this gives the Panda pillow a wonderfully luxurious feel. The memory foam portion of the pillow itself is protected by an inner covering (which cannot be removed) and the outer bamboo fibre cover. The outer cover can be easily removed using a discreet zip located at the side of the pillow for washing. The Bamboo fibre feels much like regular cotton except more ‘smooth’ and we would agree with Panda when they say it has a ‘silky feel’. The visco memory foam feels soft, yet supportive making it ideal for a pillow. 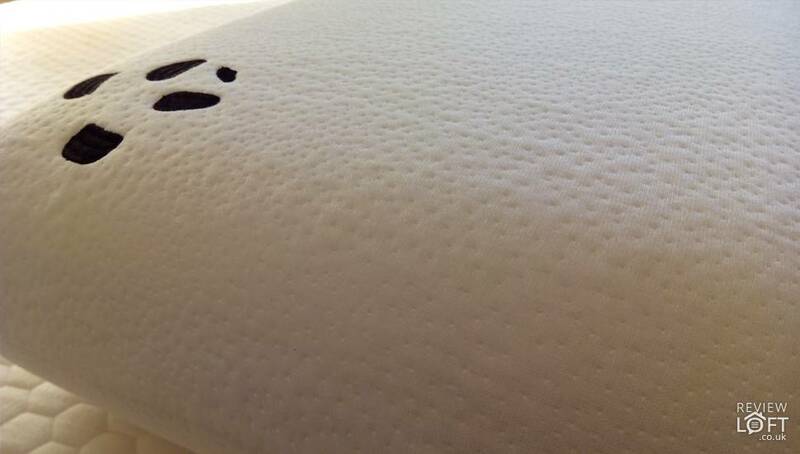 A shredded memory foam pillow we’ve tested previously felt too firm and made it, in our opinion, too hard to be used comfortably for sleep. The Panda pillow does not suffer from this problem and seems to compress exactly where needed. We also noticed that the pillow did have an odour to it which has since started to fade. However, this is common across all memory foam products and does dissipate over time – this is referred to as ‘off-gassing’. It is also worth noting that the odour is not unpleasant or overly strong. The height of the pillow is also very ideal. It is not overfilled so as to raise your head uncomfortably high and can also be used as very comfortable back rest when sitting upright reading in bed. Overall we found this pillow exceptionally comfortable. It provides support exactly where needed and is very forgiving for a memory foam pillow. And, whilst still being firm, it has a soft feel and moulds around the head providing excellent support. Packing isn’t something we’d usually talk about when reviewing an item. But, it was fantastic to see that Panda took an environmentally conscious approaching when designing their pillow’s packaging. Not only is the packing made from 100% recycled materials but it can also be fully recycled. The box is made from cardboard with minimal print and even the carry handle located at the top appears to be made from strands of woven paper (not the plastic as you might expect). The only piece of plastic used was the bag used to protect the pillow – but even this is fully recyclable. This environmental approach to packing impressed us and is a model more manufacturers should look to adopt. It was great to see that Panda offers an impressive 10 year guarantee with this pillow. This shows real confidence in their product and as a consumer was reassuring to see. The Panda pillow is made from a versatile group of materials. 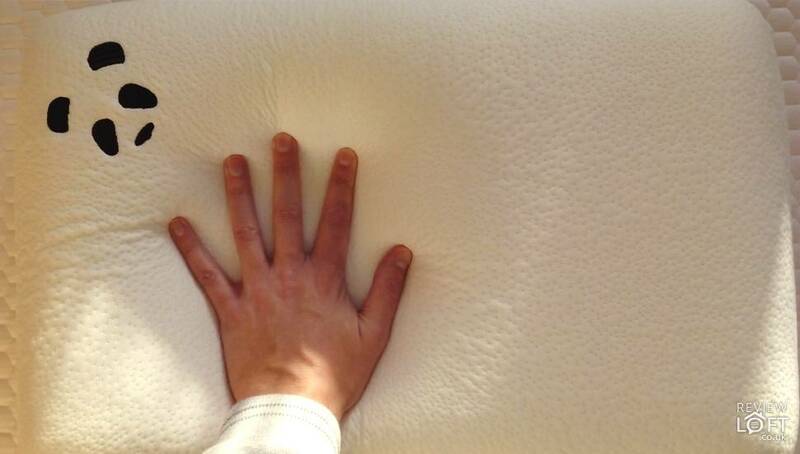 To start with; the memory foam pillow is constructed of 3 layers of Visco memory foam. This type of foam is known for its memory properties and ability to adapt to the user to provide support where it is needed and prevent any pressure points forming – hence the name ‘memory foam’. The only downside to this kind of foam is that is unlike latex foam (which is great at regulating temperature) Visco foam tends to ‘sleep hot’. To help counter this potential problem Panda introduced their bamboo fibre cover which offers some excellent properties. The first is that it is highly breathable and allows air to flow freely. Its temperature regulating technology will also help keep the pillow cool during the hotter summer months and warm during the winter. The second is that bamboo is naturally antibacterial. It provides effective protection against dust mite allergies and bacteria in addition to being resistant to mold, mildew and fungus. The combination of enhanced airflow and antibacterial properties help ensure your bedding stays fresher for longer. All-in-all this combination of materials provides a pillow which is not only comfortable but also hypoallergenic and should not irritate people with even the most sensitive of skin. When finding out a bit more about Panda we noted that they are company which are supportive of providing more sustainable ways of producing the products we all use. This is something we should all be aware of and, as consumers, make more informed decisions on who we buy from based on where and how they source their production materials. Panda choose bamboo, over cotton, for their pillow covering not just for its comfort and hypoallergenic properties but also for its green properties. Bamboo grows much faster than trees, so is much easier to replenish and use as a manufacturing material, and it also uses a third less water than many other plants to cultivate. Initially, we weren’t sure how Panda could create something which stood-out in a crowded marketplace. But they genuinely have with their memory foam pillow. Its comfort is incredible and its bamboo cover is soft and hypoallergenic. When you couple this with the fantastic ethics Panda embodies this pillow will not only help you get a comfortable nights sleep but its production will have also helped the planet by using environmentally conscious materials in as much of its construction as possible.